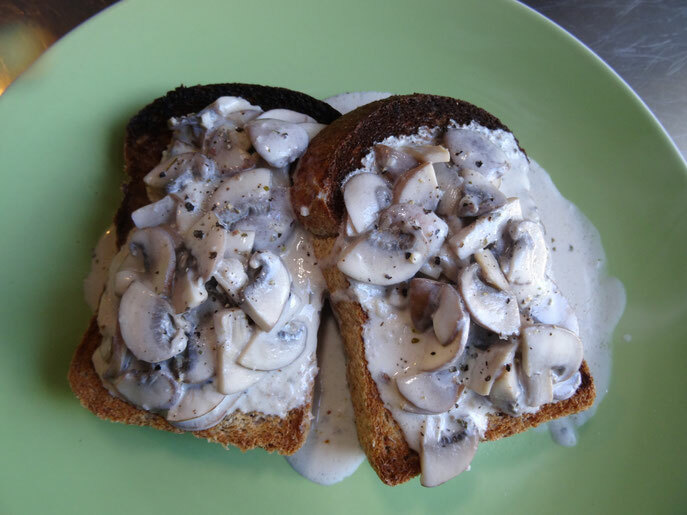 Anything on toast can only be a good thing & these lovely creamy mushrooms are no exception! 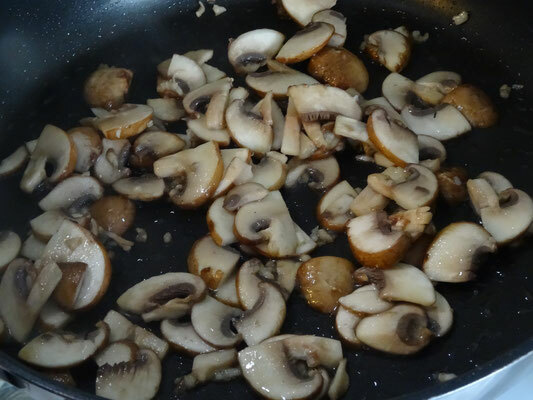 Heat some oil in a frying pan & cook the mushrooms & garlic for about 3 minutes until soft. Stir in the stock & the cheese & simmer for a few minutes. 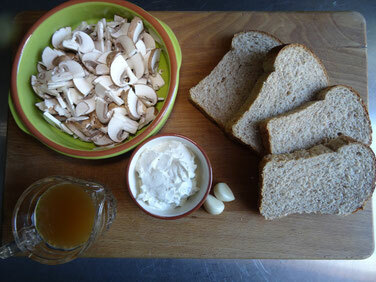 Heat the grill & toast the bread to your liking. 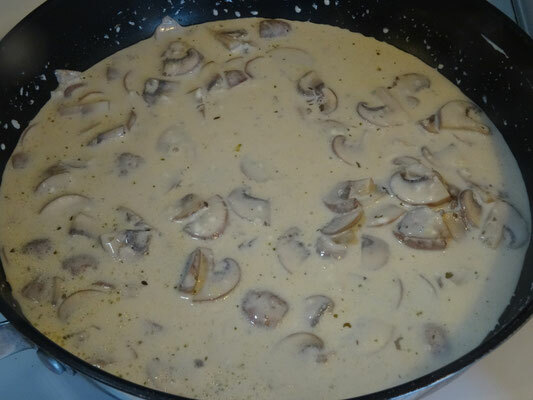 Top the toast with the mushrooms & a little black pepper if you like.